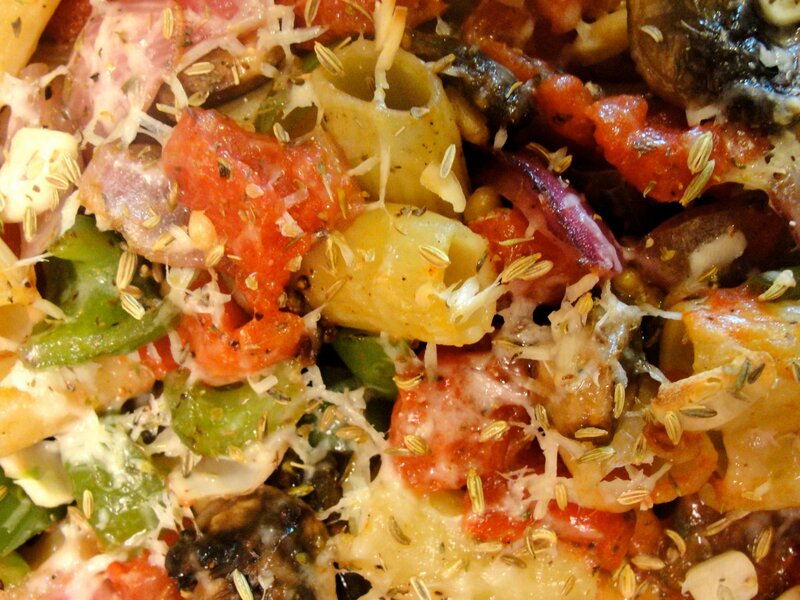 This is a simple, colorful vegetarian baked pasta dish that I make often. Prepare fresh or dried rigatoni as usual. While it’s boiling, sauté coarsely chopped red onion and green pepper in olive oil until they become slightly tender; season with oregano and black pepper then add quartered fresh mushrooms and continue until mushrooms are lightly sautéed. Drain pasta and pour into a baking dish or pan (e.g., 9″x14″ for 4 servings, so that it forms a shallow layer) greased lightly with olive oil. Mix sautéed vegetables and one can drained diced, stewed tomatoes into pasta. 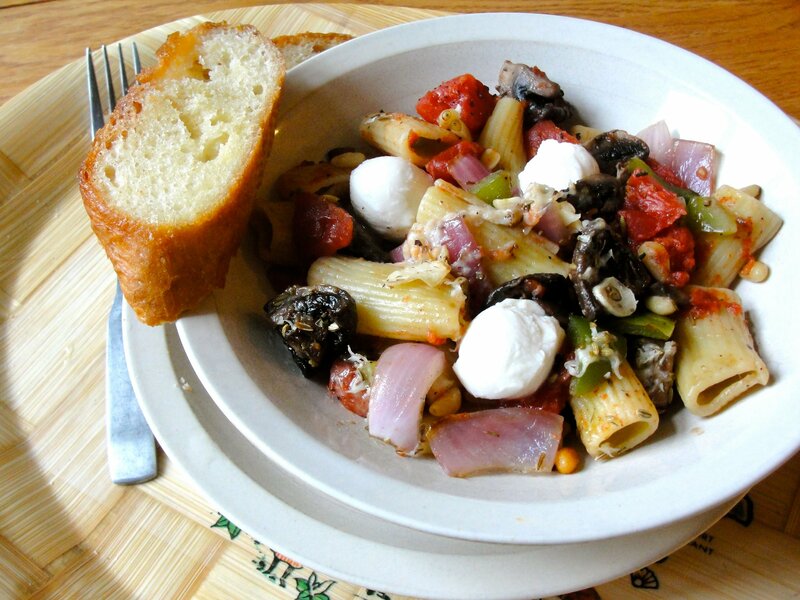 (Many other roasted or sauteed vegetables, olives, and toasted pine nuts are nice additions.) Lightly top with grated Pecorino Romano or other aged Italian cheese, sprinkle with oregano, generously with fennel seed, thinly sliced garlic from a couple cloves, and salt and pepper as you like. Bake 15-20 minutes at 425°F – until the garlic slices on top just begin to brown. Serve with garlic toast. Here I also added a few pieces of fresh mozzarella ciliegine (e.g., Trader Joe’s) per serving after baking, so that it doesn’t melt.